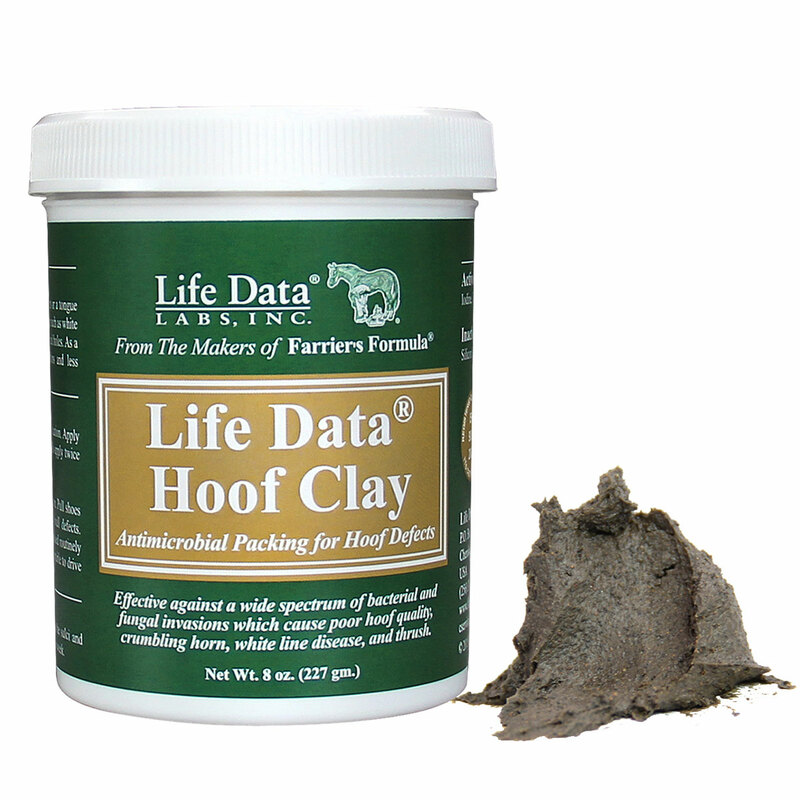 Life Data Hoof Clay is a clay based hoof putty that can be used to fill in minor defects and cracks. It can be used to protect against thrush and white line disease (bacterial or fungal infection of the middle hoof wall). Ingredients: Sillicon (clay), grain extract, tea tree oil, iodine, and yucca extract. Directions: Clean and dry hoof thoroughly. Push the clay into any crevices.